Summertime means time in the great outdoors… it also means bugs, bugs everywhere. EWW. 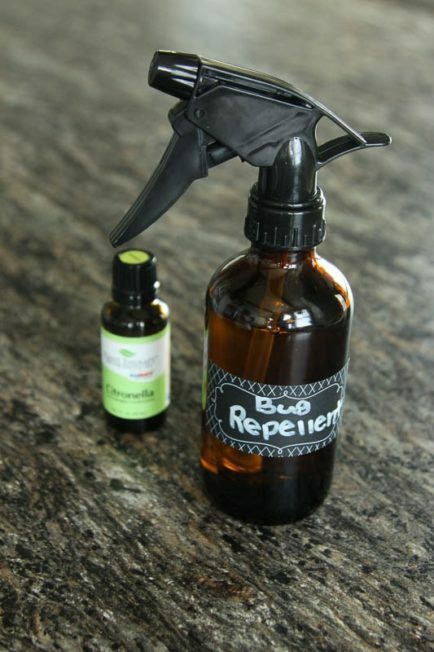 This DIY Bug Repellent Spray will keep the bugs away and is safe for the whole family*. 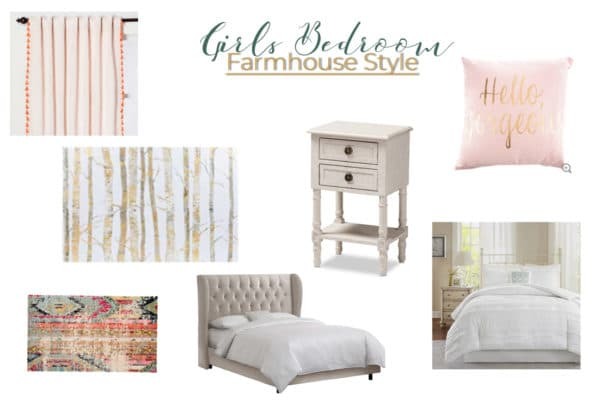 This post does contain affiliate links, thank you for reading. Read my full disclosure policy here. This summer I’ve been severely limiting my family’s screen time. We have laptops, tablets, kids movies, etc. but I have been kicking the kids outside to get some much needed fresh air and Vitamin D. We’ve been blessed with some really great weather for this time of year and I want to take full advantage before it gets too hot to even be outside in the shade! We have several things set up outside to keep the kids busy, plus, their own imaginations kick into gear when I limit screen time and that is just hilarious to watch. We live out in the country so I feel like we have more bugs than ya’ll city-dwellers do. How true that is I don’t actually know. We’ve noticed several deer ticks on the kiddos when they come inside to shower for the night and we’ve all gotten a few mosquito bites as well. I wanted something to repel the bugs but not be full of toxic chemicals. 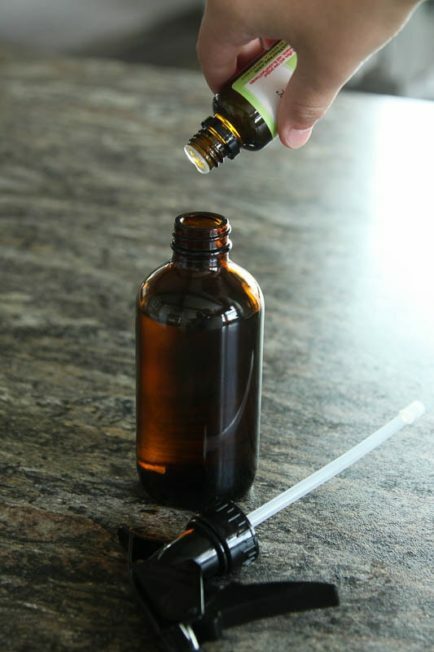 I have been using essential oils in our home for a while and I believe they work. I won’t go into why and how. Do your own research. I knew there would be an oil (or oils) that would work to keep the bugs away and also be safe for my older kids to apply to their skin, and safe for me to apply to the babies clothes to protect him. Citronella has long been used in candles and tiki torches to keep mosquitos at bay. Two other oils I found in my research was Lemon Eucalyptus and Geranium Bourbon. All three of these oils are supposed to repel ticks and mosquitos. As I said, do your research, what works for us might not work for you. I decided to use Citronella. Fill your bottle about halfway with water, (these bottles hold 8 oz.) Add 2-4 oz. of apple cider vinegar. Shake gently. 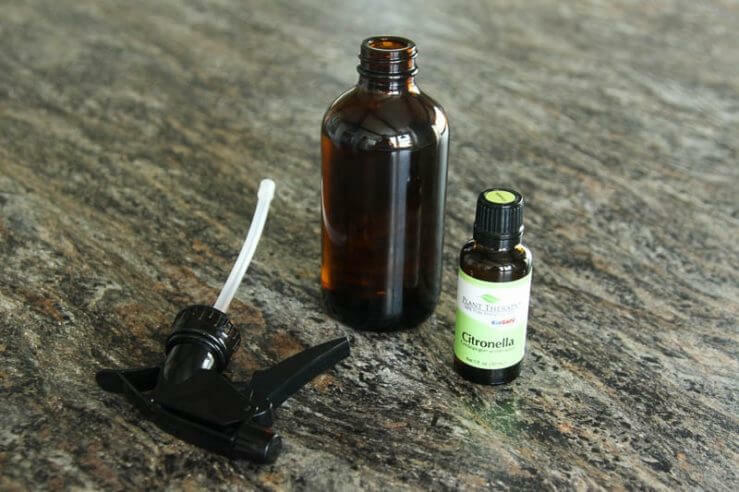 Add 30-50 drops of citronella essential oil. Shake…. and BOOM! (Boom like you’re done and made an awesome something. Not boom like something just blew up 😂) DIY Bug Repellent for the Whole Family! Citronella isn’t the best smelling oil ever but it’s not the worst either. 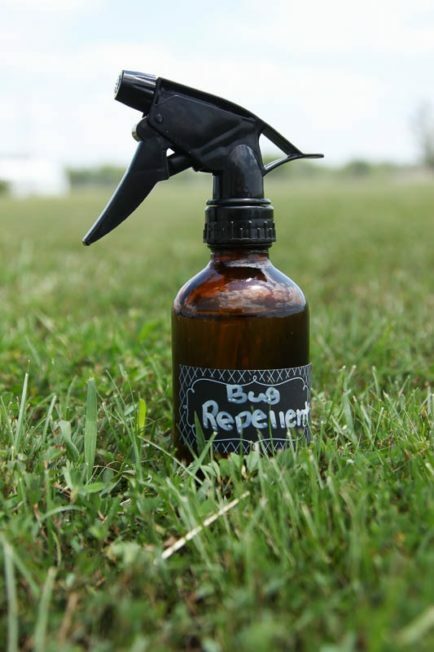 I spray this on mine and my kid’s ankles and our clothing to help repel the bugs. For the baby, I only spray his clothes, not his skin. This post does contain affiliate links. Read my full disclosure policy here. *I am not a health care professional, aromachologist or anything of that nature. I am simply telling you what I have found to work for my family. 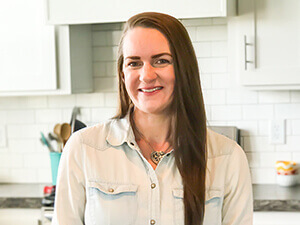 I research essential oils on reputable sites before I use them on my family. What works for me and my family may not work for you. Use at your own risk, I am not responsible. Anna have you only used citronella? I have all 3 oils and wonder if a mixture would work any better? (Plus I love the additional lemon and geranium scent!) The mosquitoes have really been bad here the last couple of days. So bad that Eddie is complaining he’s getting bites now and that rarely happens. I only used Citronella but I did read that you can mix the three oils! You just want a combined amount of 30-60 drops.